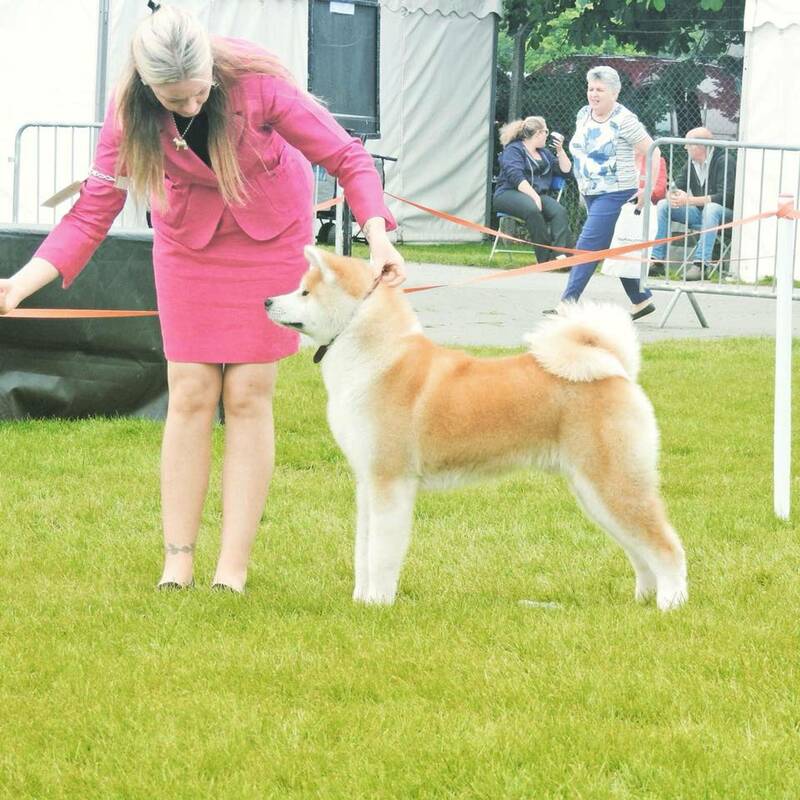 In July 2004 the Kennel club decided that there would be two types of the Akita breed, the American Type and the Japanese type below is an example of both the American and the Japanese types. About three years ago several fci (Fédération Cynologique Internationale) countries petitioned the FCI to consider splitting the Akita into two breeds. After all, there were many breeders in the FCI countries who owned and bred what became known as the American Akita, yet they could not show them and in some cases they could not even register them. In response, Japanese Kennel Club organized the first World Akita Conference that was held in December 1996 in Tokyo. 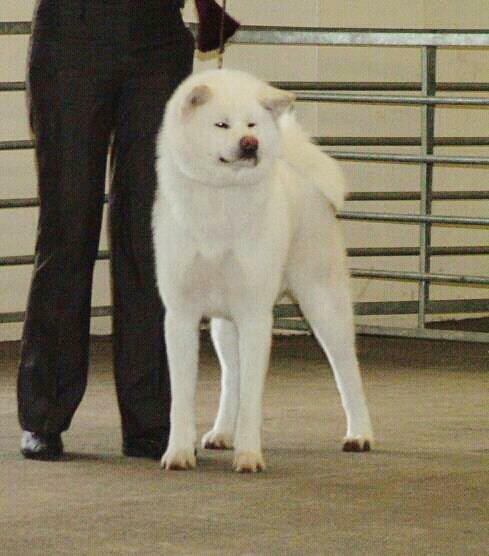 At this conference, the ACA president Nancy Henry, and included representatives of 14 countries, it was decided that the American type of Akita and the Japanese Akita were two different breeds and should be shown separately and not be interbred. The Japanese Kennel Club would have liked to have AKC and The Akita Club of America to also split the Akita into two breeds at the same time that FCI did this. Representatives from The Japanese Kennel Club had several meetings with both the Akita Club of America and AKC to present and discuss the issue. However, in the US, it is not merely a function of a governing body such as the AKC to make this change. It requires a two-thirds majority vote of the membership of the parent club to affect any changes. Because of the Akita Club of America’s undecided position on the issue of a breed split and the Japanese Kennel Club’s wishes to effect the split in FCI concurrently with a split in the US, the whole issue became a highly charged stalemate in the FCI. On June 10, 1998, a letter signed by 24 FCI member countries was presented to the FCI board. It stated in part: "Since the Japan Kennel Club has officially admitted, before the present General Assembly of FCI, that two different breeds of Akita do indeed exist, it has become urgent to recognize that breed formally, under the patronage of FCI." So as you can see there is indeed two different types of the akita breed and are very much different in appearence and in temperament. NEW EXCITING BREEDING PLANS COMING SOON! !